Small roadsters were a dying breed in the 1980s. A decade earlier, tiny British and Italian sports cars darted across Europe and America, but by 1989, most were history. 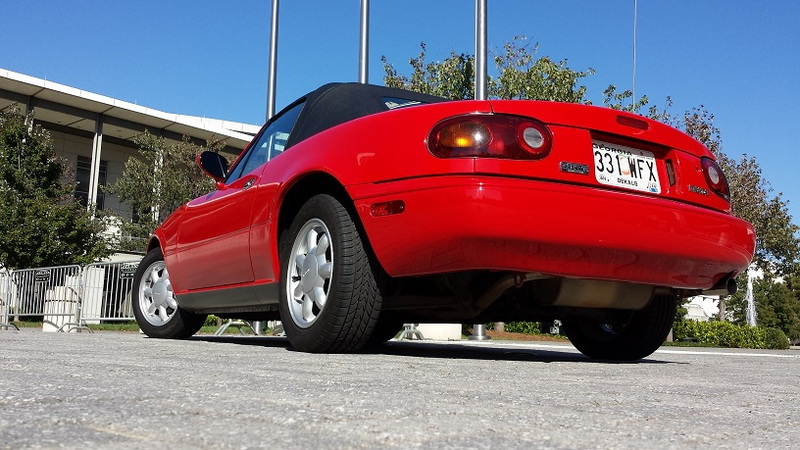 It was up to the 1990 Mazda MX-5 Miata to rekindle their spirit. 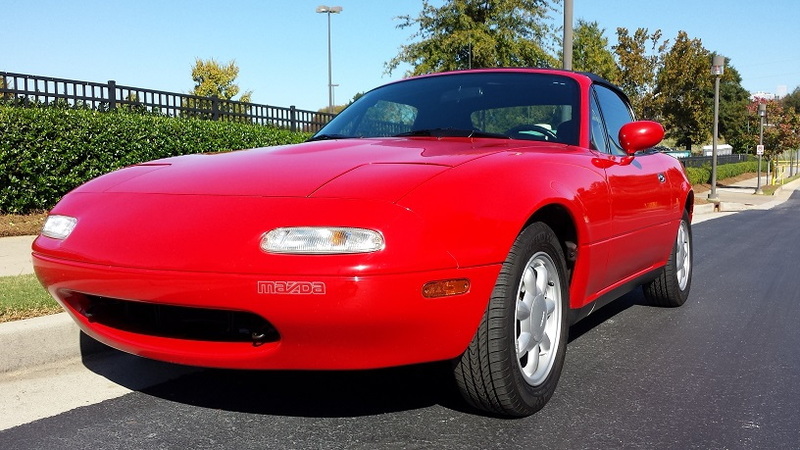 Mazda took a decades-old concept and smartly updated it with the Miata in 1990. The Japanese roadster showed the world that fun wasn’t reserved to powerful supercars, or raucous V-8 engines. The Miata’s journey to production channeled the great British roadsters of yesteryear, specifically with an admiration for the Lotus Elan. Its journey wasn’t a quick or straightforward one, though. It began in 1976 after former Motor Trend journalist Bob Hall met with then head of Research and Development at Mazda, Kenichi Yamamoto and Gai Arai. As Hall waxed poetic about the lack of small and affordable roadsters, the idea stuck with Yamamoto. In 1981, Hall became a product planner at Mazda—and Yamamoto gave him his blessing to plan for a small roadster model that would join the Mazda lineup. 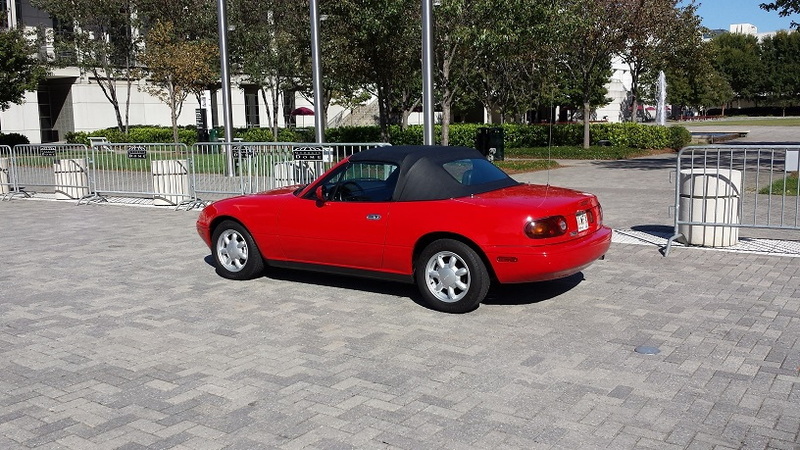 Final approval came in 1986, and in 1989, the Mazda MX-5 Miata entered the world. Dealers were almost immediately met with multi-page wait lists as customers fell in love with the charming two-seater complete with pop-up headlights. The mechanicals matched the passion-project mission. A 1.6-liter inline-4 engine sent power to the rear wheels through a standard 5-speed manual or an optional 4-speed automatic transmission. Mazda evoked a Japanese design principle for the Miata: jinba ittai, or “rider and horse as one.” That put it in stark contrast with the other Japanese sports cars of the time. While the Acura NSX, Toyota Supra, and Nissan 300ZX bristled with horsepower and high tech, the Miata extracted more driving pleasure from tried-and-true ideas: a front-mounted engine, no-frills engineering, and a convertible top for open-air driving. 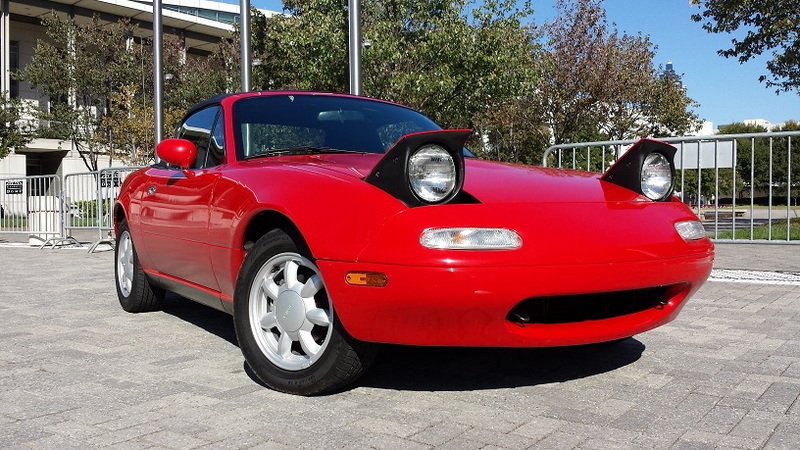 It’s difficult to capture the 1990 Miata’s aura in words. It never pressed drivers back into their seats with gobs of power. It never showed an unforgiving handling moment. It never did anything it didn’t do well. Over four generations, the Mazda Miata has never strayed from the foundation that turned the first-generation car into a runaway success. 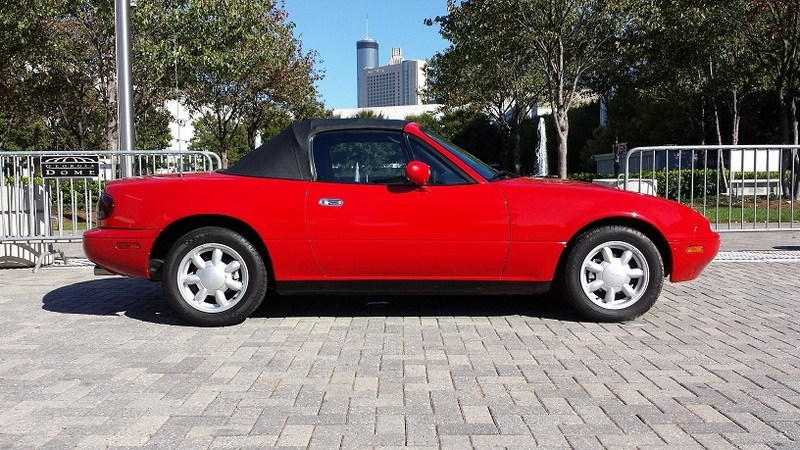 The 1990 Miata didn’t introduce a new idea to the world, it simply perfected it.